The enduring image most of us have of the mysterious heads on Easter Island, are simply the huge heads, so it comes as quite a shock that looking at them from another angle, reveals that they have full bodies that extend many feet into the ground. 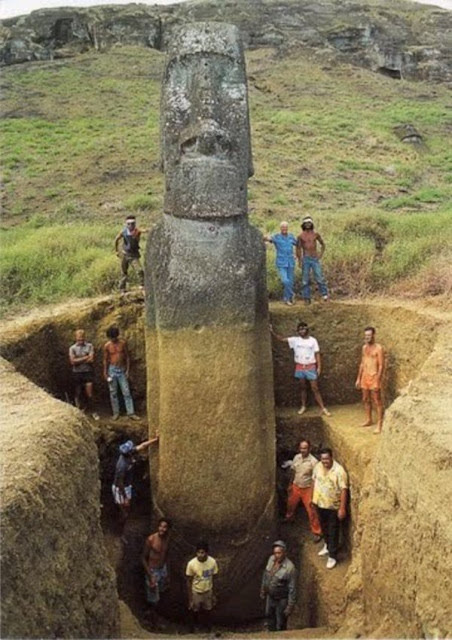 The tallest of the 887 Moai is more than 30 feet tall and weighs over 82 tons. The completed version of it is 70 feet tall and weighs 270 tons. 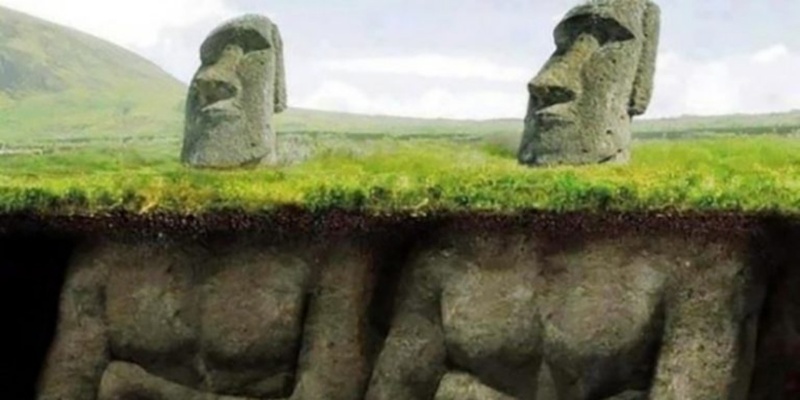 The Easter Island Statue Project has been carefully excavating two of the hundreds of statues on the islands – doing their best to uncover the secrets of the mysterious stones, and the people who built them. 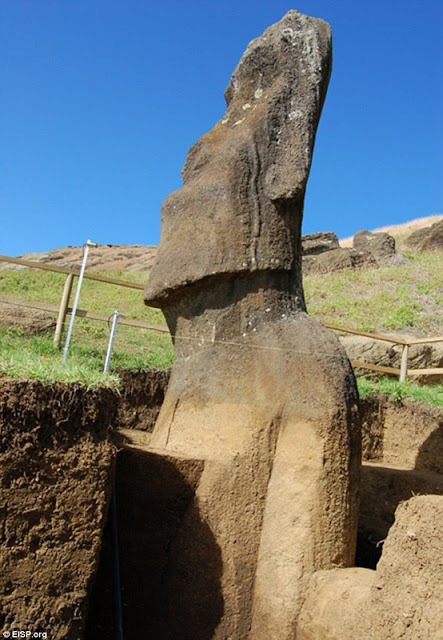 Jo Anne Van Tilburg, project director, told the Daily Mail, “Our EISP excavations recently exposed the torsos of two 7-meter-tall statues. 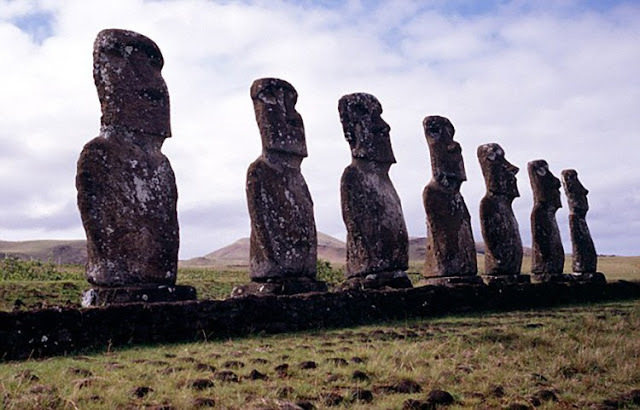 The team also discovered that ceremonies were certainly associated with the statues. On the project website, Van Tilburg said: “We found large quantities of red pigment, some of which may have been used to paint the statues.